Sale hours: 9:00am to 3:00pm. 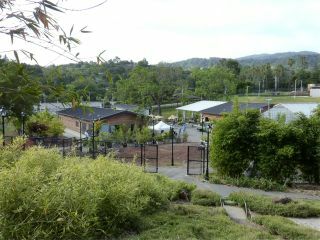 Held in conjunction with the Foothill College Environmental Horticulture and Design Program's spring plant sale. It's best to arrive early for the rarest and most attractive plants. 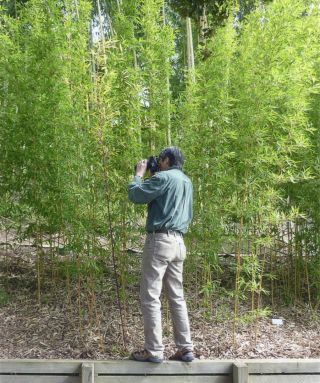 Plant and bamboo product Species/Source lists are available. 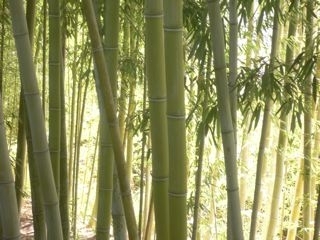 Take informal tours of the Bamboo Garden. Plants of many types are available at the Foothill College Environmental Horticulture and Design Program's area of the event. WANT TO SELL BAMBOOS AT THIS EVENT? 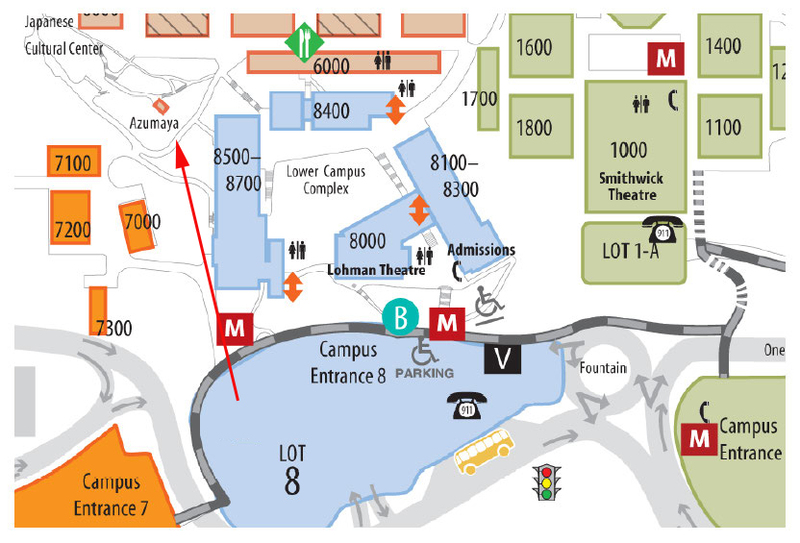 Below is a map of the campus entrance, parking lot 8, and the Bamboo Garden ("Azumaya", upper left). 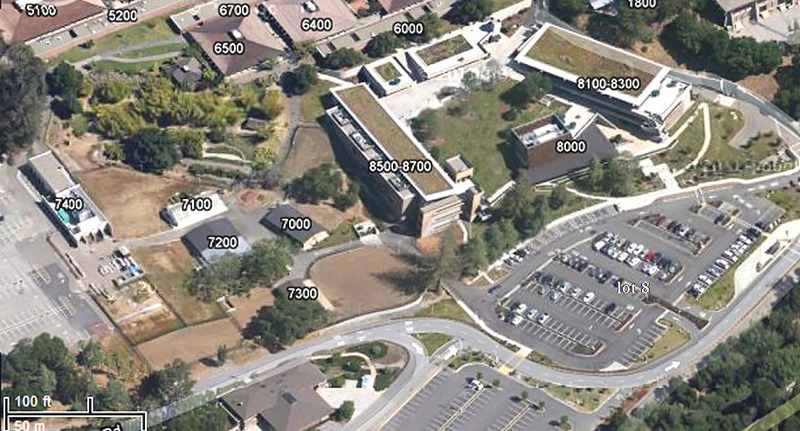 Click on this map for a Satellite view , or on this icon [ ] for a map of the whole campus. 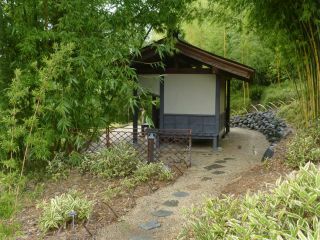 Then walk up towards the Bamboo Garden [RED ARROW] and you will encounter the Sale. The bamboos will be displayed outdoors unless it rains, in which case they will be set up in one of the adjacent buildings. If you have a specific question about the NCCABS participation in this event, please email any of the NCCABS Directors.